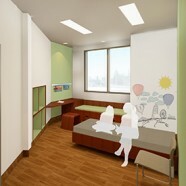 With nearly 70,000 children in Virginia in need of mental health treatment, VCU Medical Center is in the process of building one of the largest free-standing children’s mental health centers in the U.S. Based on an in-depth research and planning study conducted by our Health Advisory Services team, the new building will accomplish three key goals: providing the space and flexibility needed to address the growth of behavioral health services in the region; offering a healing interior environment that responds to the unique needs of pediatric patients; and destigmatizing mental healthcare with a building that is open and welcoming to the community. 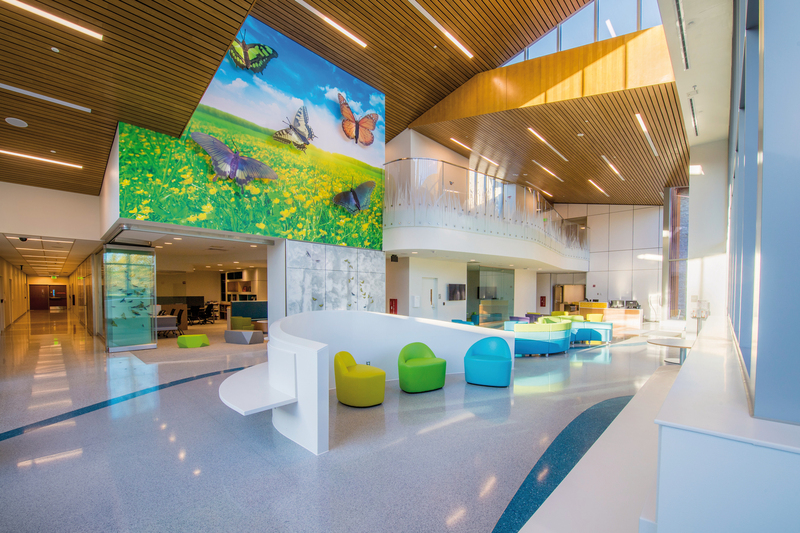 Conceived as a “pavilion in the park,” the Virginia Treatment Center for Children (VTCC) is designed as an inviting, healing facility for children and adolescents — both outpatient and inpatient. Its initial inpatient offering of 32 beds will support growth through 2018, with the ability to easily expand to 48 beds to support projected volume. 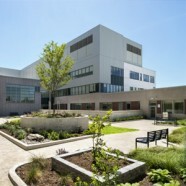 Each self-contained inpatient unit includes 16 beds; an activity zone with treatment, therapy, and recreational areas; a clinician zone; and direct access to secure courtyards and enclosed “backyard” outdoor activity areas. 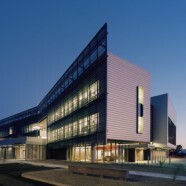 The one-story inpatient building connects to a two-story outpatient and administrative building via a central “main street” spine that provides access to a variety of services. 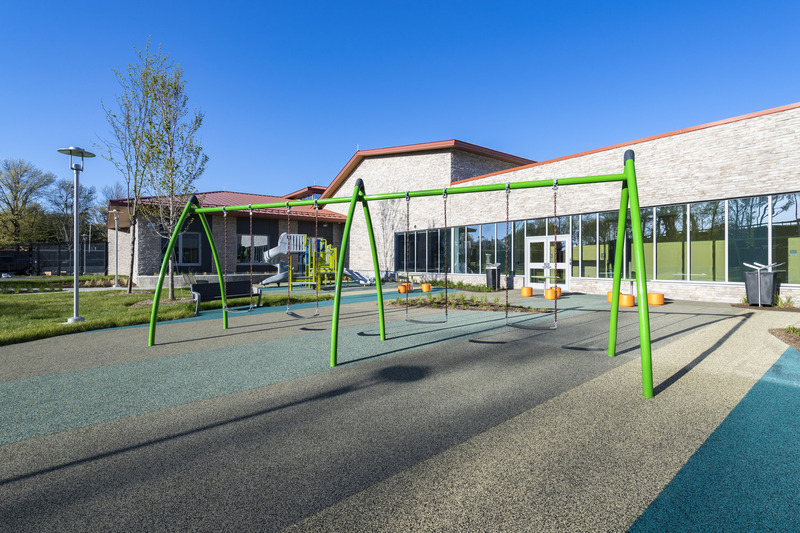 Ground-level elements in the two-story building include patient reception, the outpatient clinic, security, educational rooms, therapy spaces, a recreation gymnasium, and a faith center. 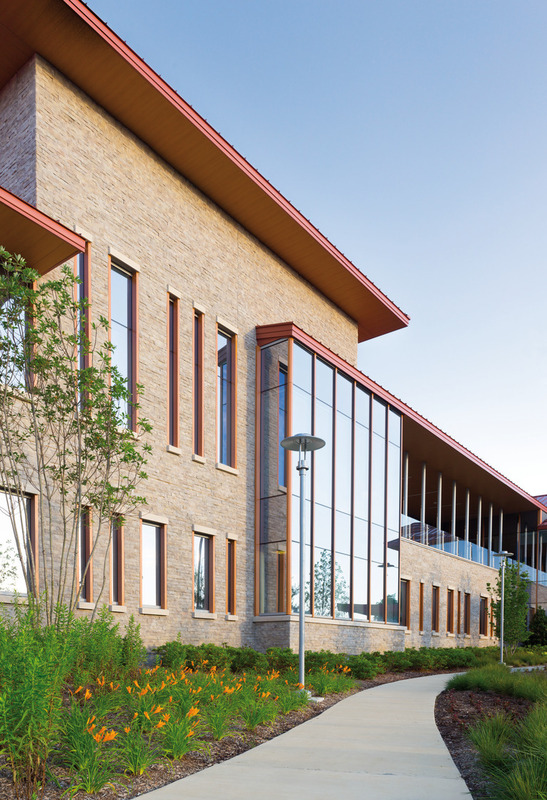 The outpatient clinic accommodates projected increases in outpatient volume with group rooms, 20 consultation rooms, and integrated research space. 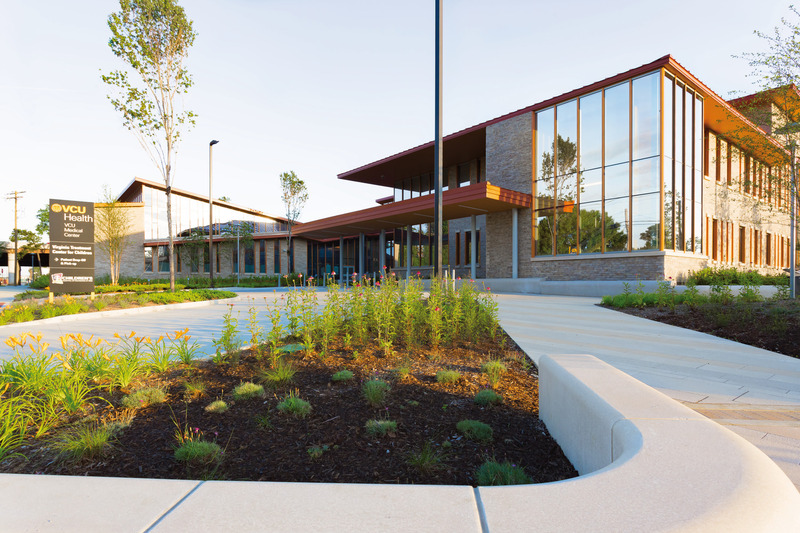 The architectural and landscape design, consisting of terraced and undulating curved forms, breaks away from the historical “institutional” style typically associated with behavioral healthcare facilities. 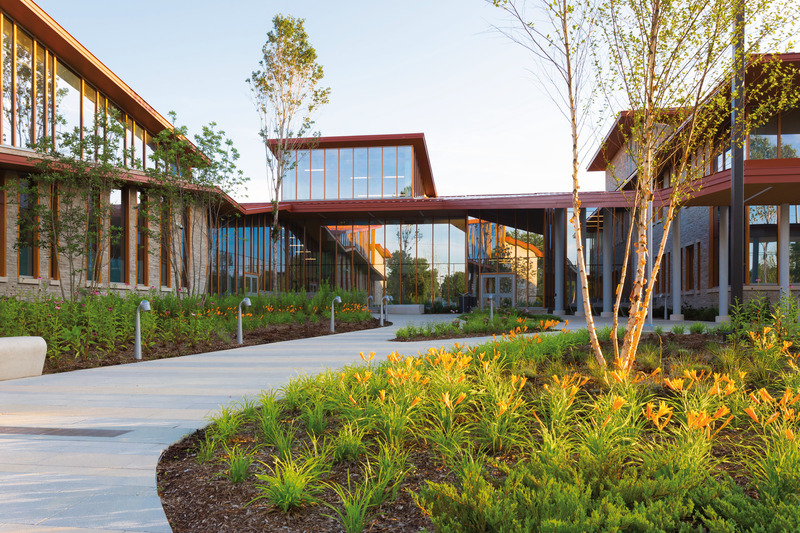 Extensive use of glass welcomes natural light deep into the building, all major circulation systems run adjacent to outdoor landscapes, and all patient areas include expansive windows overlooking private garden space — creating a healing sanctuary that supports rehabilitation without stigma. 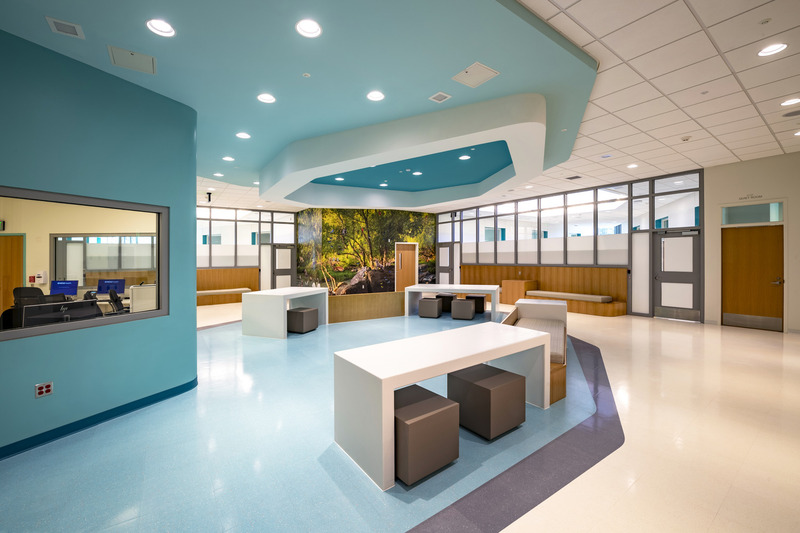 I want to thank and acknowledge the inpatient team and CannonDesign project team who has consistently placed quality and safety first in designing this state of the art facility. 118,800 s.f. | 11,036 s.m.